You can get an awful lot of painting done with just dots of color! I barely scratched the surface of the dots on this whole card, and there’s plenty left for future projects. But be careful, shipping is crazy for *just* a dot card…add it to another order when you have other stuff you need! 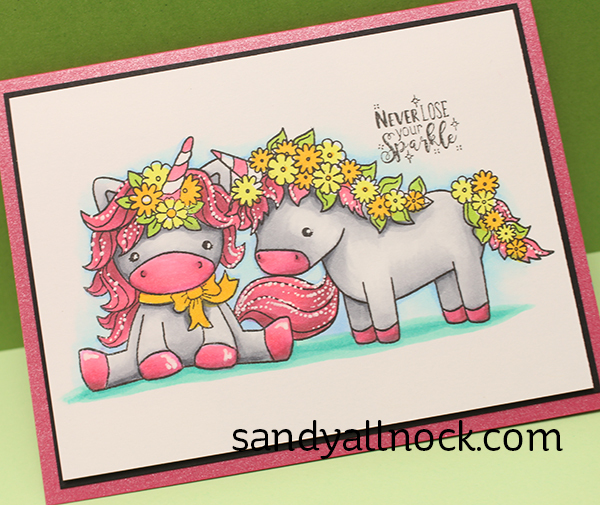 Like these Darcie’s stamps, because, unicorns, llamas, and foxes, right?? Watch the video below, or click HERE to see it in HD on YouTube. 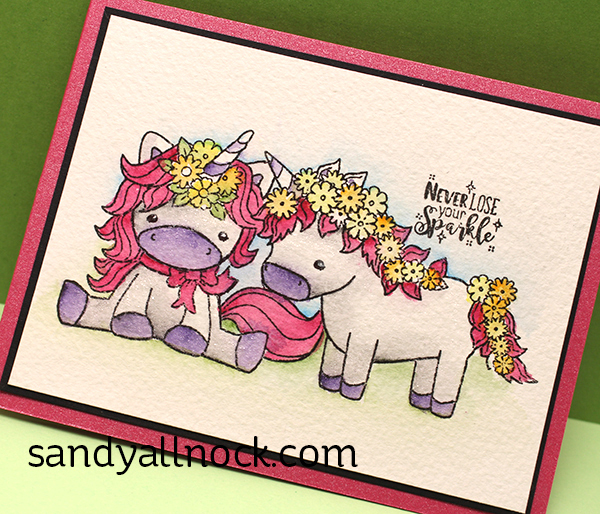 And I promised unicorns – both watercolor and copic! Love to watch you paint–great tips. I am 85 yrs. old and am trying my hand at making cards. 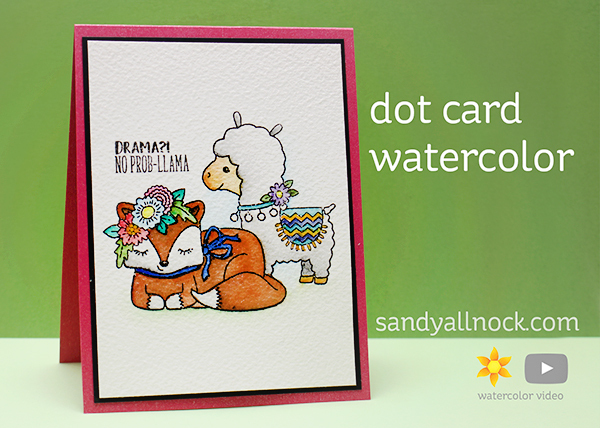 I LOVE TO WATERCOLOR and love your style with making cards. I hope to share one of my cards sometime soon, although it takes me a while to get started. Thanks for sharing your God given talent with the crafting world. You really do inspire me to keep trying. I’m so glad you mentioned the dot cards.I just bought the 66dot card from EH which has 3different DS paints,and let me just say I’m in love with the quinacradon.The colors are so vibrant.Ive created 3cards so far with them and the full dots are still there. How adorable! Love the brushes you use.